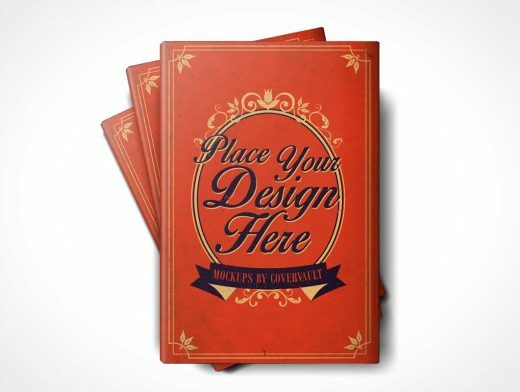 This PSD Mockup includes 3 separate hardcover books stacked one above each other. The product shot is looking down on the books which are laying on a flat surface, all 3 books are closed. The topmost hardcover book is oriented perfectly in portrait mode while the book beneath it is rotated to 15° and the book at the bottom of the stack is rotated to 30°.